Compatible with Samsung Galaxy S7 Edge(All Models). For Samsung Galaxy S7 Edge G935. Samsung Galaxy S7 Edge G935. 1 x LCD Display Screen Touch With Assembly (Silver). display problems, dead pixels, cracked LCD screens, wrong color issues. It is used to repair faulty screen, this will also cure. 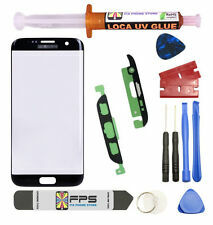 Samsung Galaxy S7 Edge OEM G935 Black Glass Lens Screen Replacement with Loca UV Glue and Pry tools This is a Screen Glass Lens Kit for Samsung S7 EDGE G935 Black color. 100% brand new and high quality guaranteed. Accessory only, devices in pictures are NOT included. Compatible With: Samsung Galaxy S7 EDGE G935 (((Not for S7 Regular Model))) Features: High Quality Glass. Compatible ModelFor Samsung Galaxy S7 edge,For Samsung Galaxy Note8,S7 edge G935 G935F. For Samsung Galaxy Note 8 N950 All version. 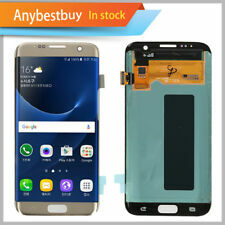 1x Out Touch Glass For Samsung GalaxyNote 8 N950 All version. TypeDisplay: Screen Digitizer. Compatible With Samsung S7 Edge, not for S7 Compatibility: Samsung Galaxy S7 Edge. Version: With Samsung Logo. Screen is in excellent condition. 10 out 10. Protective Material: Corning Gorilla Glass 4. _________ NO GOOD FOR ANY S7 EDGE -----------ONLY FOR SM-G935F SAMSUNG GALAXY S7 EDGE. DO NOT BUY IT IF YOU HAVE AN USA SAMSUNG GALAXY S7 EDGE. With LOGO on the screen : Yes. IT DOES NOT WORK ON G935A G935T G935V G935P. Samsung Galaxy S7 Edge / Galaxy S7 Edge USA ALL MODELS. This has been tested as good and working. High quality lcd digitizer assembly For Samsung Galaxy S7 Edge G935A G935T G935P G935V G935F. For Samsung Galaxy S7 Edge G935A G935T G935P G935F G935V. 1 x LCD Display Touch Screen Digitizer Assembly for Samsung Galaxy S7 Edge G935A G935T G935P G935V G935F. Samsung Galaxy S7 Edge (G935T). Samsung Galaxy S7 Edge (G935A). Samsung Galaxy S7 Edge LCD & Touch Screen Digitizer - Silver. Samsung Galaxy S7 Edge (G935P). Samsung Galaxy S7 Edge (G935V). Samsung Galaxy S7 Edge (G935F). Samsung Galaxy S8 (All Carriers). What You Get. S7 Edge G935A G935T G935P G935V G935F. Galaxy S7 Edge G935A G935T G935P G935V G935F. For Samsung Galaxy S7 Edge G935A G935T G935P G935V G935F. S7 Edge All Series. 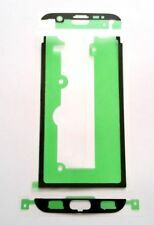 1 x LCD Display Touch Screen Digitizer Assembly for Samsung Galaxy. Samsung Galaxy S7 Edge. Each Screen is Tested and 100% Working Condition. What You Get. Precision cut for perfect fit For Samsung Galaxy S7 Edge. Samsung Galaxy S7 Edge. Touch Screen Digitizer. (Touch Screen Digiziter Out Glass only,not include LCD Display). Compatible model :For Samsung Galaxy S7 edge G935. Color:Coral Blue. Important: This Assembly will NOT work with G935F Version. What you get. Compatible with: For Samsung Galaxy S7 Edge. Touch Screen Digitizer with no bubbles, already pre- assembled. Complete assembly LCD Screen with Touch screen. Color : Silver. All tested ,100% work ! Installation manual is not included with item. Samsung Galaxy S7 Edge (All Versions). 1 x Samsung G935A LCD Screen Touch Assembly (Silver). Each Screen is Tested and 100% Working. What You Get.